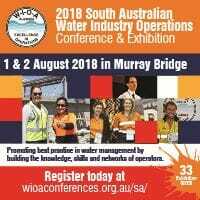 The next Water Industry Operations Conference & Exhibition is held at Murray Bridge, Racecourse on 1st and 2nd August, 2018. This exhibition is a must attend event for personnel actively engaged in the operations and maintenance of water and wastewater systems. Our WIOA Exhibition held at Logan, Queensland was well received and we now look forward to meet the water industry professionals in South Australia. We are exhibiting and you will find us at site no. 26. If you’re an operator, manager, engineer, consultant, service personnel or any professional who is working in the water industry or just has an interest in water, then this is a must visit event. We will be showcasing our entire range of liquid analysers, the complete process instrumentation for pressure, differential pressure, level and leak measurement & control and the complete range of our gas detectors and gas detector tubes. Entry to the trade exhibition only, is FREE, so grab the opportunity to get valuable insights on water industry.